Sir Elias De Morville is no ordinary man of the sword, possessing both the heart of a warrior and a troubadour. 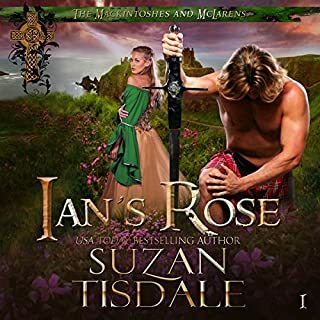 When he sets out to rescue a boy who may be his son, he must, more than ever, prove worthy of the Wulfrith dagger that ranks him among the greatest of knights. And more difficult it becomes when, not only must he protect the enigmatic woman who aids him, but guard against attraction to one forbidden him - whose deceit could bring his family to its knees. Honore of no surname is of the world only insofar as she ventures into it to pluck unwanted children from dark places. 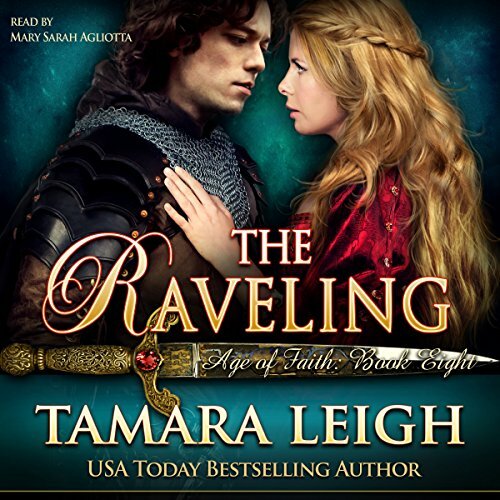 When a foundling is stolen from the abbey, her greatest hope of recovering him is a knight to whom she dare not reveal her face nor the identity of the rebel priest whose flight from King Henry they aid. Finding herself cast in the role of Sir Elias's wife, she struggles against a heart that longs to be his in truth. And prays what seems a necessary deception does not lay ruin to him. 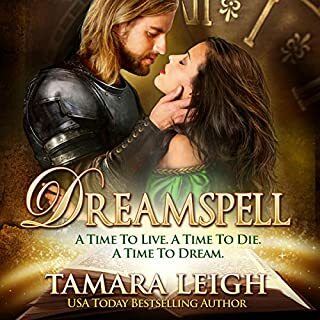 Wow this book lures in and captures you, the type of book that traps you and you can’t stop listening, a book beyond expectation, well done Tamara, you have once again lived up to you reputation of USA today best selling author. A book that expands the age of faith series to new levels you can really get into the character of Sir Elias. Well read by Mary Sarah Agliotta most books I speed up but with this narrator you are bound to every expression. Where do I start? 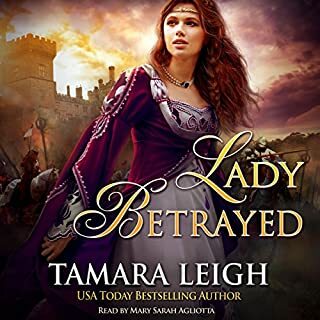 I am a big fan of Ms. Leigh, but I literally struggled to get through this audiobook. Infact, I skipped ten chapters or more and didn't appear to miss much. There were parts of the story that were absolutely boring to me personally. I felt drawn to the hero (Elias), because he was in other books leading up to book eight. Yet, I did not like the heroine (Honore), though I felt compassion for her plight. She seemed like such a whiny deceitful weakling and I always dislike such feeble or helpless female characters in a novel. What I liked a lot was finding out who Honore was related to and a bit more knowledge about that particular family. I adored the HEA and honorable mentions of the Wulfrith clan. As always, I was entranced by Mary Sarah's narration. She is an exceptional vocal artist. I wish I could score it higher, but this story is definitely not my cup of tea. I will probably not listen to it a second time, which is strange because I re-listen to all her other books frequently. In essence, I am quite disappointed. Yet, I know there is hope, since Ms. Leigh is an excellent writer. I await the next composition. 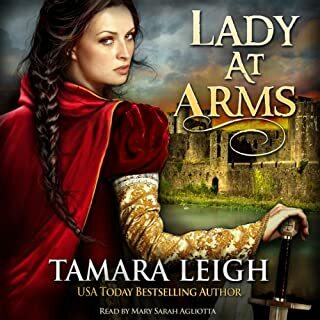 I have all of this series of Tamara Leigh's audio books. Mary Sarah Agliotta is my favorite narrator. I could hardly stop listening until I finished the book. loved it. brought me to tears at least four times. thus is a must read. This addition to the Age of Faith series is a sweet journey to love. Complicated yet realistic to the time period. I loved Elias' poetic prose and tender expressions of love to his bride. They had a hard road to travel but it was worth it. The heroine is brave, strong, independent and caring. I hope to see more of their love story play out in future books. I loved the story of Honore and Elias. It was unusual in at least one aspect of a less than perfect love interest in Honore, but also in a Wulfrith knight who has the heart and history of a troubadour. The setting during medieval times never fails to intrigue me and this one included the Archbishop of Canterbury. 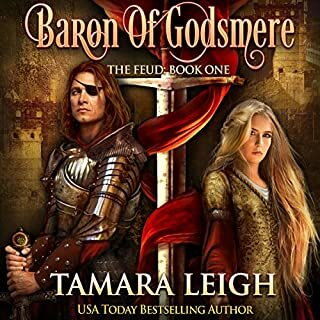 Very well done and of course I look forward to any future releases from Tamara Leigh. Al though I also have enjoyed all of her contemporary stories she seems to have found her in this time period. Audiobook Narration was also well done. Thoroughly enjoyed the story. The narrator had a beautiful voice with beautiful expression, but was extremely difficult to understand. I’ve never had to rewind and listen over and over as I did with this book. 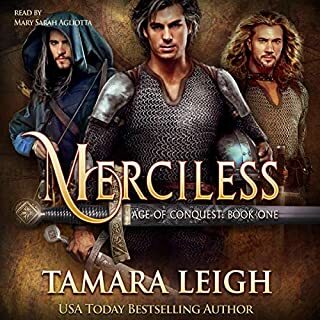 I get excited every time Tamara Leigh writes a new book and then I impatiently wait for the audiobook to be done! 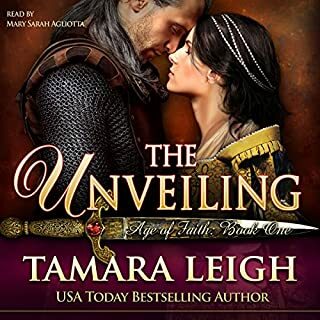 The Mary Sarah Agliotta- Tamara Leigh combo is amazing!! !